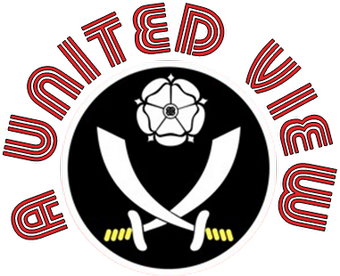 In a burst of excitement on Tuesday, the Blades announced the arrival of four new signings, immediately leading the more suspicious Blades fans to wonder, "Who is on their way out?" Looking at it more positively, the signings meet the criteria set by the Blades and David Weir in recent press interviews. Young players, building foundations with one eye for the future. They also will fall firmly within the much tighter budgetary controls within which Weir is working. Over the next four posts,I will offer a few thoughts on each signing, with input from fans of their previous clubs, and also a few thoughts on the new manager and the influence I think he will have in building a squad for next season. "Stephen McGinn arrived at Vicarage Road in January 2010. He had just turned 21, and was very much of the mould of signings at the time... what little money we spent, we spent on potential. He was used sparingly for the rest of the season, and passed a little under the radar looking a little lightweight, often fielded in what looked a slightly unnatural wide position." "Come the following season however and Stephen began to spread his wings. More frequently involved now he began to impose himself upon a central midfield position. When Jordon Mutch returned to Birmingham after an impressive six month loan in the January McGinn stepped into the apex of the diamond, sometimes even playing an advanced role behind lone striker Danny Graham. He looked terrific... deft, clever, efficient with possession and yet effective too, slide rule always handy for a vicious through ball and adept at timing his runs into the box. He might not quite have been the finished article, but he was progressing at an exciting rate." "And then, suddenly, he wasn't. The injury he picked up at Doncaster came from an innocuous tackle by all accounts but was evidently a bad injury. He didn't play for Watford again, and didn't play for anyone until Shrewsbury took him on loan almost two years later." "If Stephen has overcome his injury - and I note he's got two years at Bramall Lane, not just the twelve months - then you've got a smashing little player on a free. He'll be 25 in December however, and New Skool Watford were never likely to offer him a new contract on the off chance." This was a view endorsed in an unprompted tweet I received from Mike (of the From the Rookery End podcast); "You've got yourself a cracking player. Been out injured, but if fit will be a great addition." And also from David Cameron-Walker of the Football League podcast "We Are Going Up; "Before McGinn got injured he was just hitting his stride. He'll be a real asset to you if he's fit and ready to go." So while the long term injury is clearly a risk for United, his reasonably impressive spell at Shrewsbury on loan last season, coupled with a full pre-season training behind him, could give United a creative lift much needed in the middle of the park and a player pushing for a place in the starting eleven. At present we don't know who will be in the United squad come August, or the way Weir will set up his side. He has promised attractive football, but recognised a trade-off may be required to ensure that the club is successful with it. The lack of competition for places in central midfield last season was a big problem for me. Whilst Kevin MacDonald suffered from both a lack of movement and quality from the players around him, both he and Michael Doyle seemed to be too comfortable in their positions, with little threat to their place in the starting eleven. Our midfield was pedestrian and off the pace much of the time and that set the tempo for the rest of the team. One man who could have threatened this comfortable position was Elliot Whitehouse, but a problematic injury in pre-season meant that he was out of the picture for much of the season. It was a huge shame, when early pre-season showings offered much. With Whitehouse offering attacking thrust and McGinn seemingly better in central position higher up the pitch, it will give Weir more options than Danny Wilson had for much of last season. It will be interesting to see what his preference is and whether a five man midfield might be the answer?